Note: We recommend that you talk to one of our sales personnel who are well versed in the compliance laws in your state. They can help customize your security camera system in order to make sure that you have compliant coverage and laid out in a way that may even be able to help your business be more profitable. 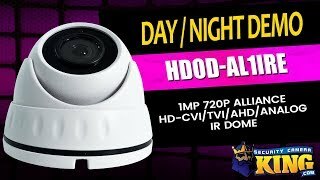 This 32 Channel Quadbrid DVR package is the Security System of the century. You will be amazed at the clarity and detail that High Definition can deliver. In security surveillance, detail is King. If the police ever have to review your footage, then you would want High Definition Cameras in place. This system comes complete with thirty two (32) 720p/1MP HD-CVI cameras. They are 32 Dome Security Cameras and all of them are indoor/outdoor cameras. In the day time, the 3.6mm fixed view gives a crisp, wide angle view. In the dark, these cameras can “see” up to 66 feet thanks to the built-in IR (Infrared). The 32 Channel Quadbrid DVR has a powerful computer built right in. It is a dual-core processor with a Linux O/S and the Interface is easy to use. There is a start-up Wizard that will help guide you in setting up your cameras. You will be configuring your schedules, setting motion detect, creating email alerts and more in no time at all. If you need assistance we provide free tech support and we can either walk you through the set up step by step or at times we can access your DVR and do it for you. We also have a great online forum, videos and articles to assist you if you wish to do it on your own. When you set up the DVR initially you will need to connect to a monitor and you can do that using the HDMI, VGA or BNC ports. Once connected, if you wish to view your cameras and recordings remotely you can do that by downloading our free apps for your smart phones and tablets. You can also view remotely through your Mac or PC using our PSS software. You can find all of these in our download’s section on our website. You will need to choose a hard drive or multiple hard drives depending on how long you want to record. We have a Online Hard Drive Calculator that will help you estimate what you need. This DVR can handle up to 8 hard drives. You can back up your recordings using FTP. You also have the option of using the USB ports to connect an external hard drive, DVD burner, or flash drives to back up your footage. 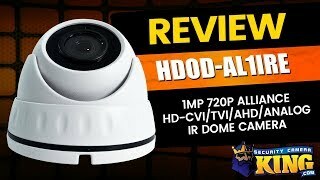 The DVR comes with a 2 year warranty and the cameras come with a 1 year warranty and as with all of our other products, FREE US based support and FREE remote monitoring apps.